I have had several people ask me about our real estate listings, and how it all works here in Mexico. If you've been attending our weekly workshops, you already know this. The real estate licensing is optional. However, that may be changing! AMPI, the Association of Realtors in Mexico, submitted a law to the Quintana Roo state legislature that would (FINALLY) require licensing by the state of Quintana Roo. It's in the works, and we are pushing hard to make that happen! There is an optional federal certification. It's a great sign if your Realtor has theirs! 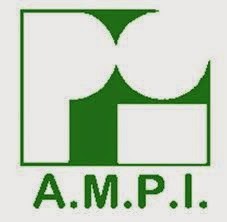 They are a member of AMPI. This is a peer-reviewed organization that offers many opportunities for continuing education to its members. Make sure your Realtor is a member! Does your Realtor have a business license? If your Realtor doesn't have a business license, then they aren't taking their profession seriously. They don't have the proper tax ID numbers, receipts (which are tax deductible for you! ), and permits to be running a business. This is definitely a minimum requirement. Do they place your property in the MLS of Mexico? There is a national MLS in Mexico. Make sure that your Realtor can promote your property through this network to other realtors. 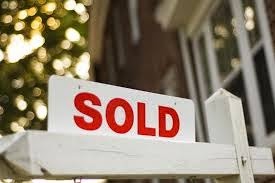 Remember -- Professional Realtors work together to sell your property, the same way they work in the USA and Canada. The listings on your website --- Are they everything that is For Sale in Puerto Morelos? We include a lot of properties on our website. Our listings are priced to sell, have all of their paperwork reviewed PRIOR to listing, and are great options for buyers. Yes, there are things that aren't on our site. Oftentimes, it's for good reason! Fraudulent Sales Listings! Many properties are 'listed for sale' by sellers who won't report the full value of the purchase in the new deed. You heard right! They require buyers to commit tax fraud and also purchase their capital gains baggage as a part of the purchase. Sound ridiculous? We think so too! There isn't a chance that you will us promoting a property like that, or advising you to buy it! Not Market Value! We have a common saying: "Do you want to sell or do you want to list it for sale? There's a difference!" Our listing prices stand up to their comparables. If it isn't within a reasonable market price range, we don't waste our time ---- or yours ---- promoting it. The paperwork isn't in order! We require an extensive list of paperwork copies, and sometimes an external review, to be sure that our listings are ready to sell! Our sellers all have quotes on their tax liabilities at the time of listing. Our listings are ready to close! It's THAT house! We know the Puerto Morelos area! We have turned down listings because of ongoing problems that we were aware of. We want to feel comfortable with you buying any of the properties that we have listed. Our goal is to have happy sellers AND buyers! We happily work with other professional agencies to be sure that buyers find the right property, no matter who has the listing. However, we don't want to waste your time with properties that aren't suitable for purchase. If you are considering selling your Puerto Morelos property, my sincere advice is to list it with a local agency. We can easily schedule showings, we know our market, and we work with all of the agents in the Riviera Maya and Cancun. Get your property listed here in town. We'll market it to agents everywhere!